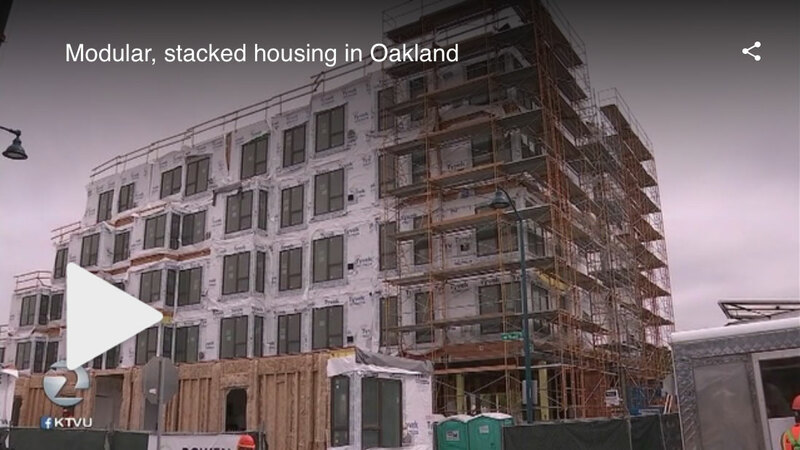 OAKLAND, CA – Crowds gathered in Oakland on Thursday to witness the module crane installation of the Coliseum Connections apartment building. In less than three weeks, the site will have transformed from an empty foundation to a fully erected, five-story apartment building. Crews will then turn their focus to installing 44 townhomes, also built using prefabricated modules.